The Estes Viking is one fantastic research rocket with 48 possible different fin configurations! This kit gives you five special die cut card stock fins that allow you to create a rocket that's a truly unique rocket of your own design! Take your pick on how you want your rocket to look; fins up, fins down or fins whatever way. You call it, it's your day to be the rocket designer! 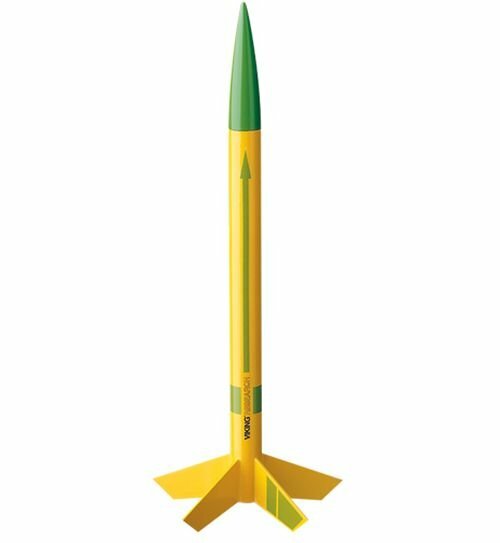 Customize your own rocket...no matter how you place the fins, it still offers the ultimate in high performance model rocket flight.